During our recent visit to Cars Land, I was able to stock up on some of the awesome exclusive merch found there. I love that place a ton, so I thought it would be fun to have some things to remember it by (since we don't find ourselves making it back there to CA any time soon). 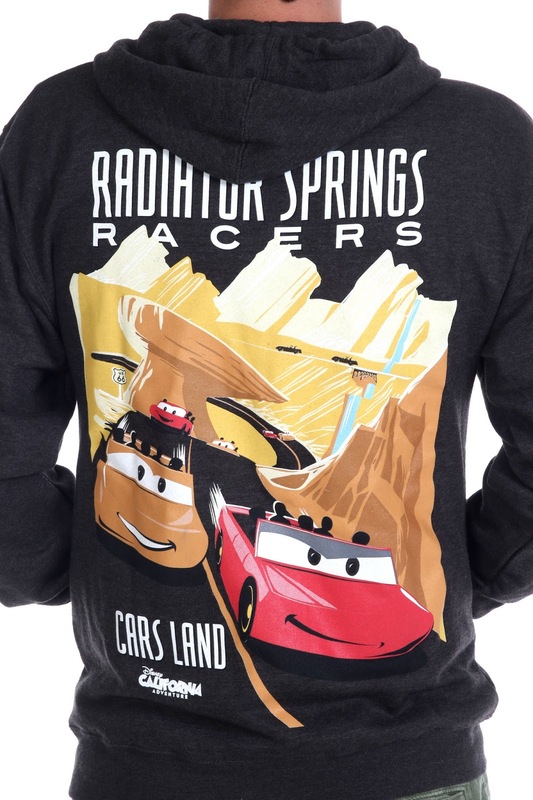 One of the items that caught my eye was this very cool Radiator Springs Racers (my favorite ride there) zip up hoodie! On the front, the sweatshirt features a red race car from the attraction and the words "Cars Land Radiator Springs." On the back, there's the very cool Radiator Springs Racers attraction poster image as well as "Cars Land" and the California Adventure logo. As with most Disney Parks clothing, this hoodie is soft, comfortable, quality made and nicely fitted. 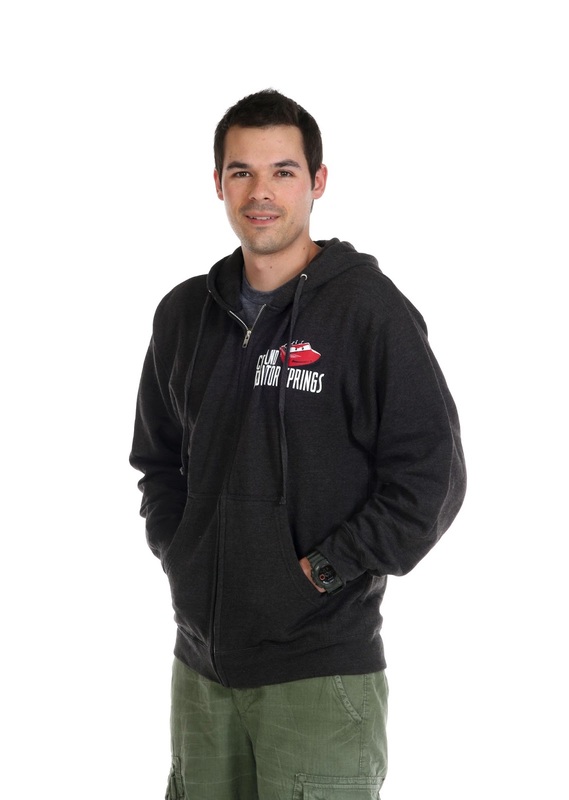 I picked this one up at the Radiator Springs Curios shop on sale for $49.95 (it was originally $59.95). A big thanks to my wife Brita who got this for me as a recent birthday present! She included it in a Cars Land themed package featuring all sorts of other fun stuff. Stay tuned for more soon!